Are you having difficulty managing your debts? Debt consolidation could be the answer. By combining all of your debts into a single account at a lower interest rate, you can decrease the chance of missing payments, save on interest charges, and possibly establish lower monthly payments. Each type of debt requires a different type of debt consolidation calculator. Review the types of debt below and choose the calculator that best fits your situation. Traditional installment loans, such as auto loans, feature a defined monthly payment for a specified number of months. An installment loan calculator allows you to plug in different loan amounts and payment periods to find out what you can afford to buy, as well as how to balance monthly payments and overall interest charges. Can you afford higher monthly payments for a shorter time to save money over the life of the loan, or is a lower monthly payment more important? While mortgages are a form of installment loan, they tend to have their own calculators. The variety of fees and other considerations such as adjustable rates, mortgage insurance, and property taxes requires a calculator tailored to help you assess home affordability and evaluate options. The USAA mortgage calculator is a good choice for basic loan qualifications under different types of loans (conventional or VA/low down payment). In other words, in the eyes of a lender, what’s the most expensive home you can afford given your qualifications? Credit cards represent America’s primary form of revolving debt – meaning that the credit in use varies by month and there is no fixed monthly payment. Credit card debt is also the highest interest rate debt that most people have – so it’s a ripe target for consolidation. That’s especially true if your credit score has improved over time and you now qualify for a better interest rate. You have two primary ways to consolidate credit card debt – consolidate your cards into a balance transfer card, or fold all credit card debts into a personal loan and effectively turn that debt into an installment loan. In either case, a credit card debt consolidation calculator will allow you to find the terms that meet your goal – whether the goal is to save money over the life of the loan or to make monthly payments more manageable while keeping interest charges to a minimum. Balance transfer cards offer an introductory period with 0% interest on the transfer amount, allowing you to devote payments to principal. (Some cards also offer 0% interest on purchases for a limited time.) Balance transfer calculators allow you to enter balance transfer fees and introductory periods to estimate how much of the principal you can pay off before the introductory period expires. When paying off credit card debt with a personal loan, choose a credit card debt consolidation calculator that allows you to select different interest rates and terms and find the best balance between fixed monthly loan payments and overall savings. Don’t forget that if you continue to use your credit card, you’re still racking up more debt. Keep your spending under control to avoid a future – and possibly more painful – consolidation down the road. Generally, there’s no reason to consolidate debts if you can’t get an improved interest rate. The improvement must be large enough to provide savings while covering the costs of the new loan. By plugging different interest rates into a debt consolidation loan calculator, you can find the breakeven point where the savings equal the loan costs. Armed with a breakeven point, you can search for loan offers knowing the highest interest rate you can accept – and if you don’t qualify for offers at a lower interest rate, it’s time to take a look at your credit report. You may have to improve your credit score to make consolidation worthwhile. Whether you prefer to manage your debts individually or manage them as a single consolidated debt, the key word is “manage”. By periodically checking offers and using the proper debt consolidation calculator for your situation, you can take advantage of money-saving opportunities – and why wouldn’t you want to save money whenever you can? The other part of debt management is to prevent debt from becoming excessive in the first place. 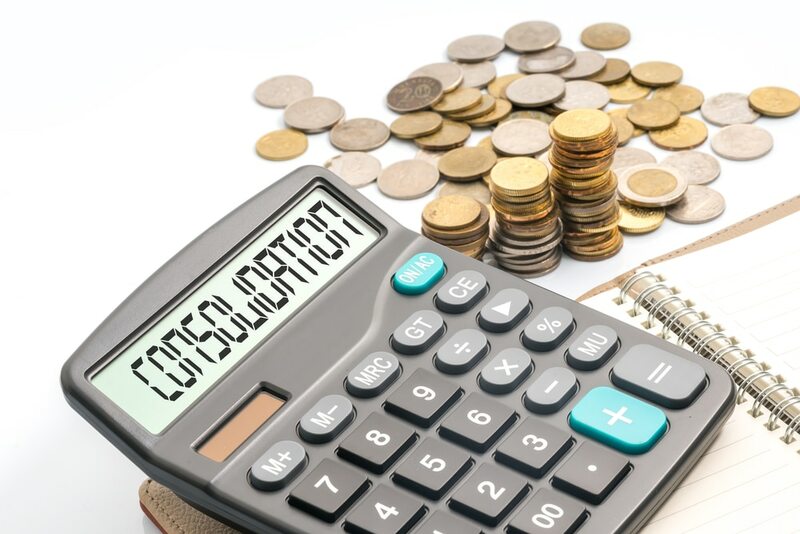 Debt consolidation can allow you to gain better control of your finances, and calculators play a key role in highlighting the benefits – but no debt consolidation calculator can show you how to overcome constant overspending.